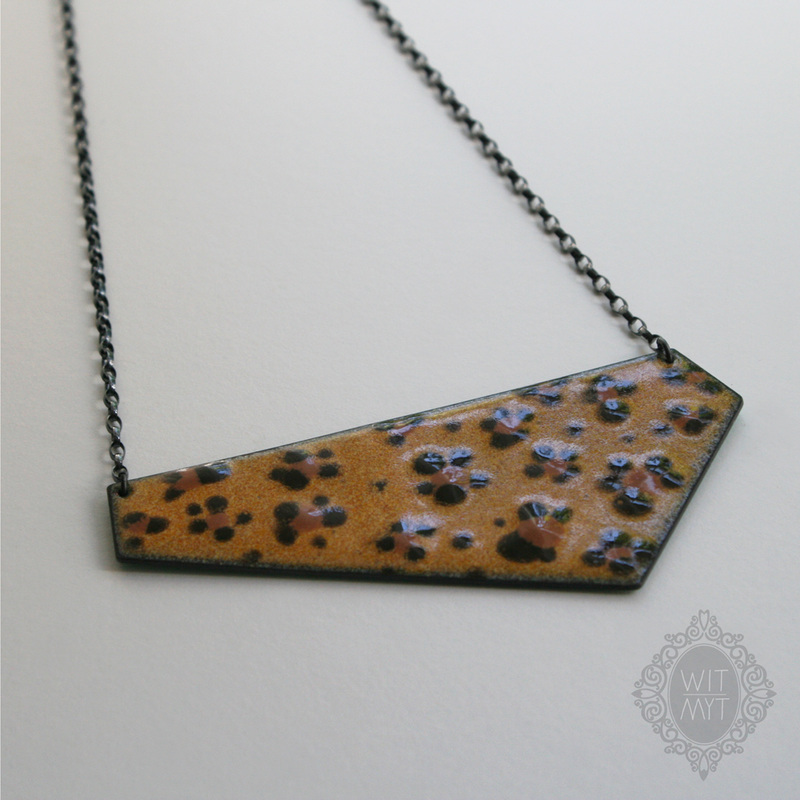 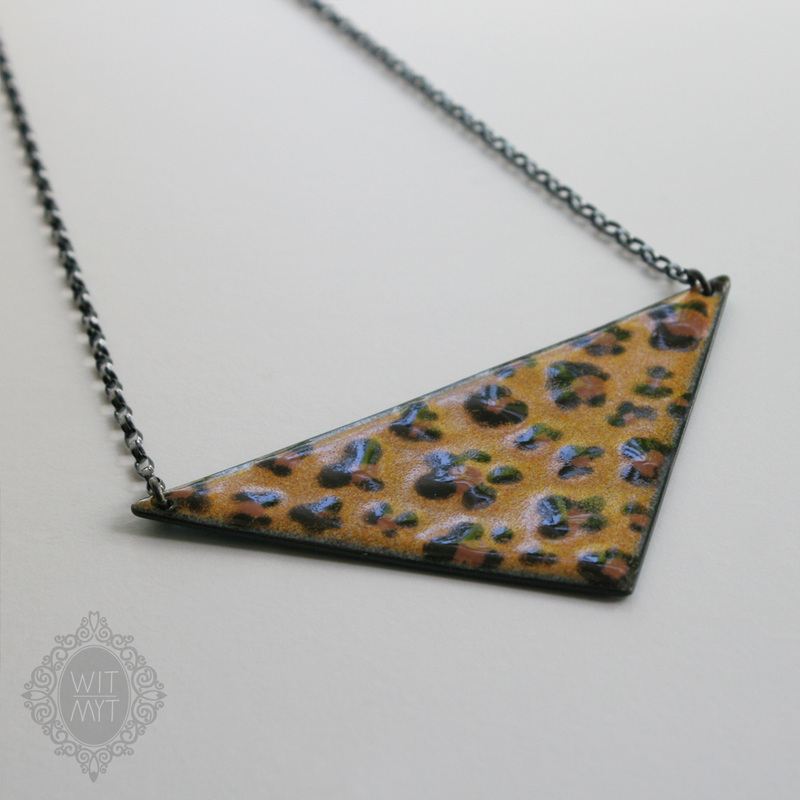 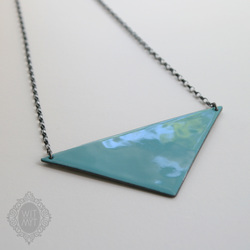 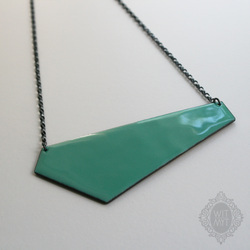 Playing around with two of my favorite colors/patterns of the moment - blue-greens and leopard print - these geometric reversible necklaces are made by firing multiple layers of vitreous enamel onto copper in a kiln, fusing the glass to the surface of the copper. 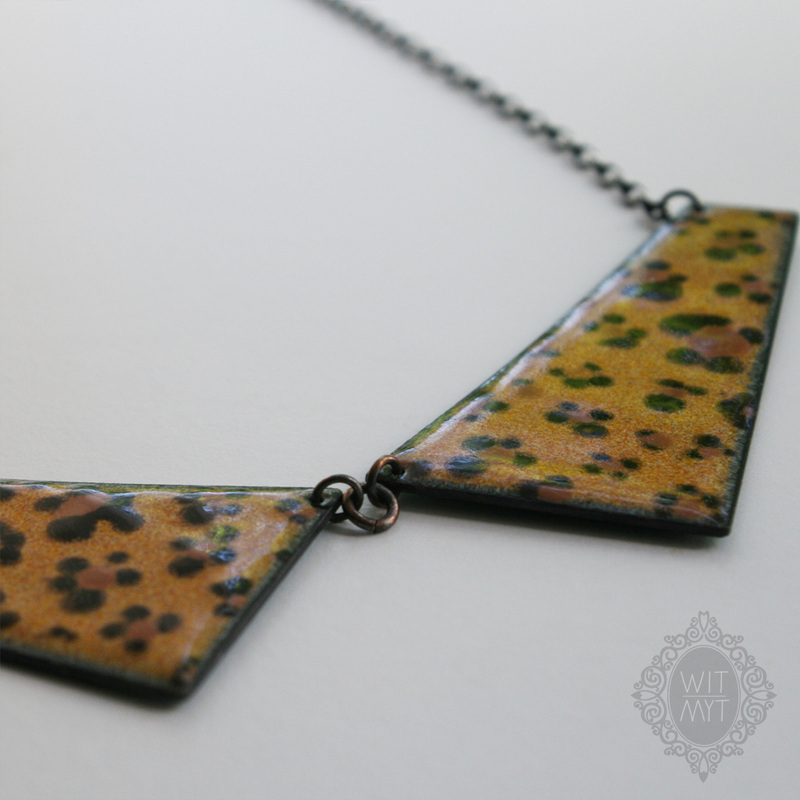 The leopard print is hand painted on before the last firing. 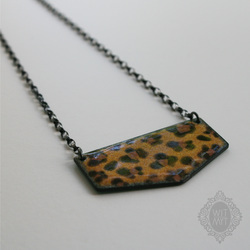 The necklaces hang on an oxidized (darkened) sterling silver chain. 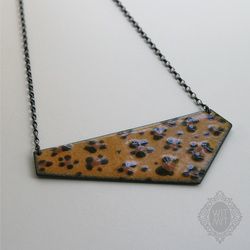 Oxidizing is a patina, or surface treatment, that may brighten at various contact points and change over time, allowing the silver to show through. 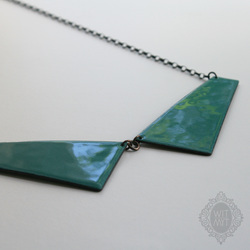 This piece was designed with this change in mind. Please note: Enamel is very durable but not indestructible and extra care should be taken when wearing it. 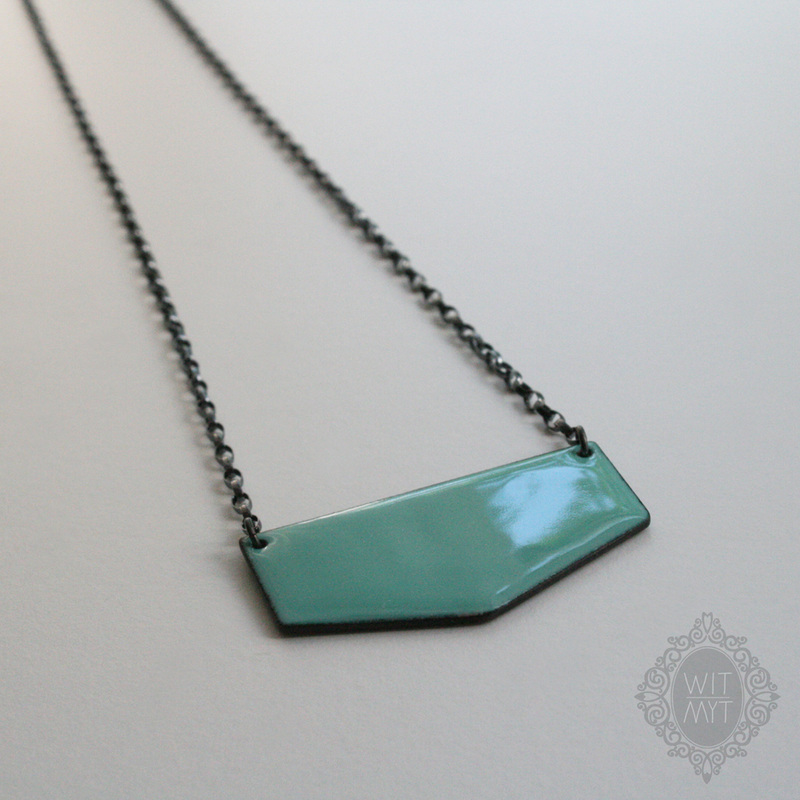 If the necklace is bent or makes contact with a hard surface, it could crack/break away from the copper surface. To purchase items, please visit my ETSY shop. Alternatively CONTACT me for a custom design.